Jason showing off his new RiderzLaw title sponsor logo. 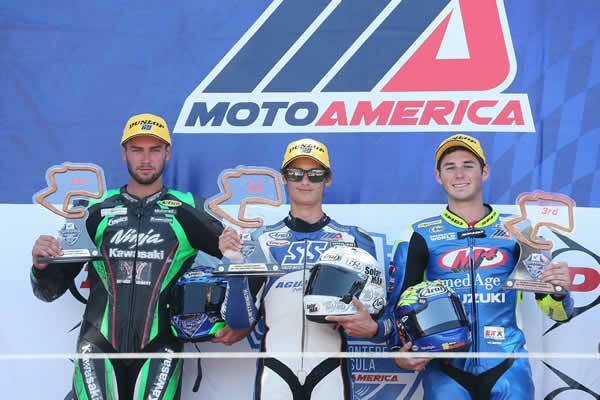 Jason Aguilar: "Coming into the Laguna Seca race weekend I was very excited from getting back to back wins at Utah Motorsports Campus. 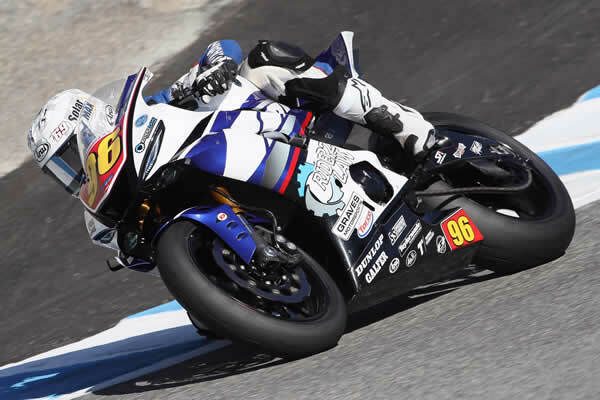 I was able to put my Yamaha R6 at the front of the field every session and just missed out on qualifying pole position. In the race, I had great pace and was able to run consistent laps that brought me home to another first place finish. I couldn't be more stoked the way things are going so far and I'm hoping to keep improving every round. Big thanks to all my sponsors and especially Solarmax Technology. Can't wait for the next round at Sonoma!"